Dyed and gone to gypsy heaven. 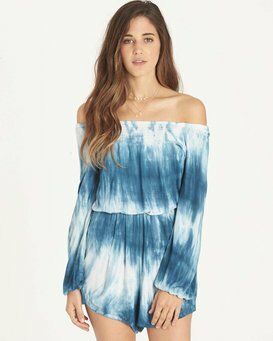 Tie-dye meets an off-the-shoulder silhouette for the perfect carefree pairing. 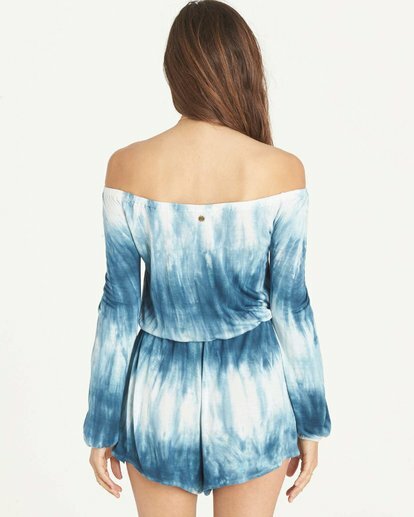 The long sleeve romper is finished with elastic at the cuffs and natural waistline. Ally is wearing Lagoon and Off Black in size M.